The man on the ladder gave me a curious look. I was already beginning to regret mentioning that I was an archaeologist. He cleared his throat. "So", he paused for dramatic emphasis, "when did it all begin then?" I grinned. "How long have you got?" He didn't appear impressed at my rather feeble attempt at humour. This was proving tricky. How to explain the distant human past in 5 minutes (the time I estimated his interest would wane significantly)? Popular understanding of prehistory is murky to say the least. The absence of anything pre-Roman from the school syllabus, and the general misconceptions that exist surrounding this particular period of the human past do not improve the situation. 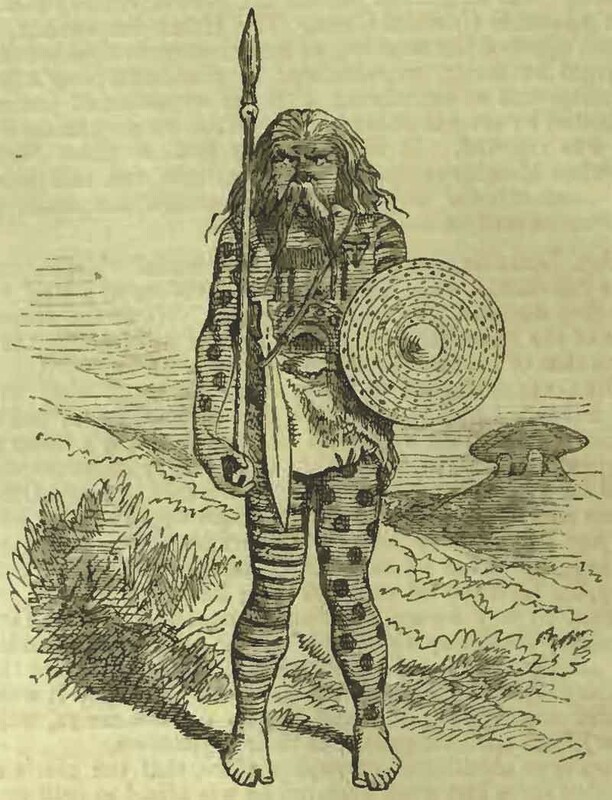 Most people’s view on the period is moulded by popular culture, especially that transmitted by television, cinema and the internet, where pre-Roman communities are often depicted as hairy, club-wielding savages, wandering around a landscape littered with bizarre megaliths and improbable dinosaurs. 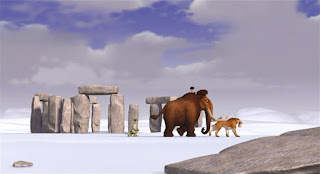 Neanderthals, woolly mammoths, dinosaurs, standing stones, druids and Celts all inhabit that strange, incomprehensible world before civilisation, often with no clear idea of how, if at all, they originally related. The view that Britain before the Romans was ‘deeply primitive’, especially when compared with the ‘civilised super states’ of Mesopotamia, Egypt, Greece and Rome, is endlessly recycled within modern fiction, daily news programmes, cartoon strips and documentaries. The image of the poor, ignorant, mud-splattered, fur-wearing prehistoric primitive (often with enlarged brow ridges and fearsome drool), hunting hairy animals, eating raw meat and patiently waiting for the civilised world to bring technological advances such as clothes, agriculture, the bow and arrow, pottery, towns, roads, aqueducts, coins and orgies, is undeniably potent. The fact that it is also totally incorrect does not seem to bother anyone very much. Even state organisations can often succumb to the stereotype, as a visit to the Stonehenge Shoppe, set deep in a Salisbury Plain-style fuhrer-bunker, will amply testify. Here you can buy postcards, novelty tankards, pencil erasers, ties and other tourist paraphernalia depicting fur-wearing cave men building Stonehenge with the aid of large dinosaurs and overseen by sickle-carrying, beard-wearing druids, . Against this it is often difficult, if not impossible, to explain how and where particular artefacts (such as the stone axe or iron sword), or sites (such as Avebury, Skara Brae or Maiden Castle), fit in, especially if there is no understanding of the chronology or sequence of human development. This point was brought home to me recently during an excavation of a Bronze Age ditched enclosure. A worryingly large percentage of visitors to the site seemed reluctant to believe that it could be three or four thousand years old. One visitor asked, in due seriousness, whether it had been created by carbon- or silicon-based lifeforms; another wondered out loud whether the whole thing had been designed to keep out predatory dinosaurs. It's disconcerting to realise that the human past can at times be so misunderstood, for it reflects badly on archaeology as a profession as well as the ability of archaeologists to communicate their ideas to the wider public. Anyway, I outlined the breadth of human history in Britain to the man on the ladder, emphasising how little we really knew and how archaeology has helped further our understanding in crucial areas such as settlement, religion and burial. At the end he seemed genuinely baffled and I could see that something was clearly bothering him. "No" he shook his head and started to descend. "I mean the tiles....when did they start falling off the roof?" Are you sure the person enquiring about silicon based life forms wasn't a rogue Doctor Who fan pulling your leg? The programme has a fine history of introducing the general public to archaeological concepts. Why, from the serial The Daemons I learnt that proper Professors of the trade work at midnight on Beltane rather than those tiresome daylight hours when you can actually *see* what you're doing. Joking aside, I think the problem really does begin with the fact that anything pre-Roman done in schools is basically "let's visit a roundhouse or paint some Celtic artwork" and that's about the lot. I do supply teaching in Wales and thankfully the lower half of the primary curriculum, the Foundation Phase, leaves a lot of scope for choosing the topic of study. I know it means I can't get into the real nitty gritty of prehistory as my target audience is so young, but I can at least show them that there was intelligent life before the Mediterranean sandal wearing lot set up shop. From my own rather limited experience, I agree that prehistory in Schools seems generally to be more of the Late variety (Celts) or the very early (Neanderthals) with little going on in-between. Don't really know how this can be countered, which is a shame, for there's lots of interesting stories out there in the Palaeo/Meso/Neo/Chalcolithic (even in the absence of 'living stone'). It would be great if there were a similar scheme to the STEM Ambassadors - science, engineering, technology and mathematics volunteers who go into schools to inspire young people to get into science. They do stellar work engaging kids in subjects that get dismissed as too "hard" or "boring", and I think understanding of prehistory (and indeed, archaeology in general) could be improved greatly such a scheme. Of course museums often have an outreach officer that sometimes visits schools or lends handling collections, but they are focused on the curriculum streams of the Victorians, or World War 2, or Romans at a push. I often toy with the idea of setting up my own service for visiting schools and doing sessions on the less well served parts of our history and archaeology. Well, maybe when I've won the lottery and can afford to do things for love rather than subsistence!